With its experience in cleaning, Val’Air released the first machine in the electric vehicle range in 2016, the LEV1200 washing machine. With a capacity of 1,200 Liters, the washer was then upgraded to become the LEV1500 thanks to an increase in the volume of the tank which now has a capacity of 1,500 Liters. The idea is therefore to diversify and offer vehicles that are more environmentally conscious. 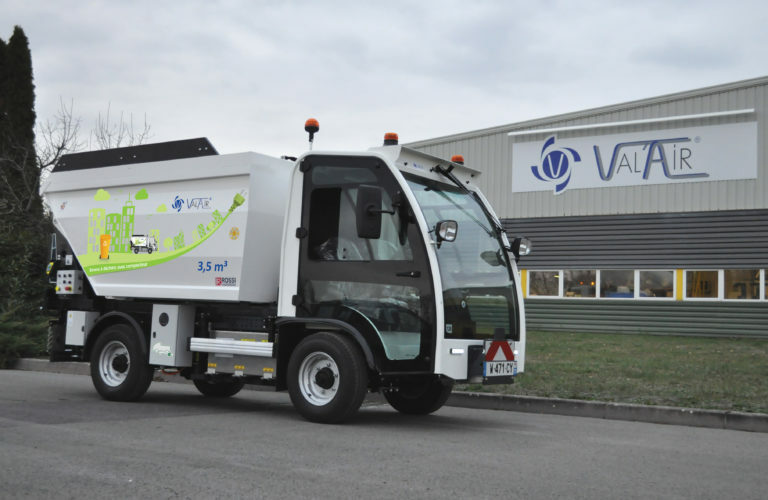 Encouraged by the positive feedback of customers and users, Val’Air decides to market a new product, the BEV1500, it’s a 100% electric aluminum dumpster. 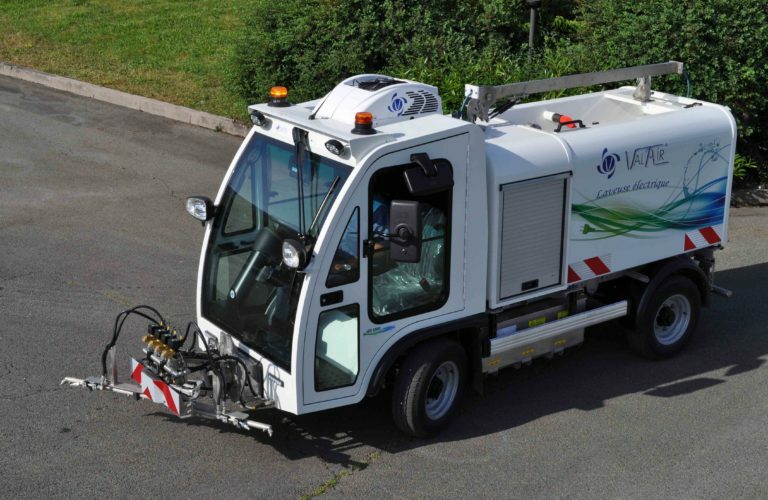 These electric cleanliness vehicles are manoeuvrable, compact and meet road maintenance needs in urban and road environments. The roller base is equipped, as required, with a Li-ion Batteries with capicity of 36,8kWh or 18,4kWh. The vehicle is therefore 100% electric and thus allows a considerable reduction in the cost of use compared to a thermal vehicle. The modular chassis is designed to meet the different configurations of our models. We are also able to consider any request for customization of the rolling base. Regarding its capacity, the payload on the bare chassis is 2,000 kg. Our different models have a GVWR of 3,500 kg. The electric washer LEV1500 is designed for cities, thanks to its small template, it circulates easily on narrow streets or sidewalks. This model is originally designed in 2 guide wheels, it is available with the 4 guide wheels option for more maneuverability. Take advantage of the eco-friendly gesture to make your city a healthier place thanks to the CO2-free washer. The electric technology used on the LEV1500 allows you to achieve savings without equivalence and without comparison with a vehicle equipped with a thermal motor. Travelling with great flexibility in hard-to-reach areas (pedestrian areas, sidewalks, car parks, etc.) thanks to its small template and 4 guide wheels option, which makes it more manageable. Its low sound level allows it to work at any time for a quiet city atmosphere. LEV1500 has a highly studied ergonomics. The driving position guarantees high comfort and visibility thanks to its hanging seats, doors with large window openings and a tinted panoramic windshield. Intuitive control by multifunction joystick, dashboard containing all the information needed to use the LEV1500. It has an athermally de-iced windscreen for the driver’s comfort. The addition of options such as air conditioning, or the Bluetooth radio contributes to the comfort of use and driving. 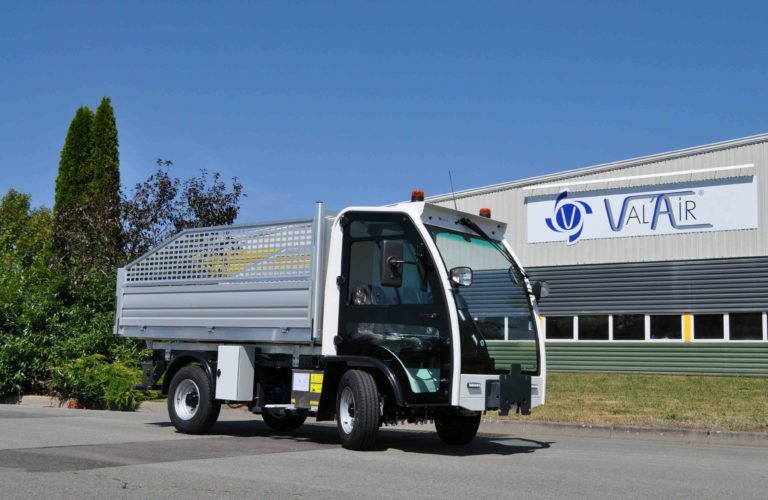 BEV1700 aluminium tipper is designed for cities, thanks to its small size, it circulates easily in narrow streets or hard to reach areas. Equipped with a lithium battery, the BEV1700 does not emit CO2, so it contributes to the reduction of the carbon footprint. BEV1700 aluminum dumpster has a loading capacity of up to 1,700 kg, which allows the transport of many tools or work equipment, and also increases the working time without having to empty the dumpster. The design of the 100% electric dumpster has been designed to adapt to the narrow streets of some cities. 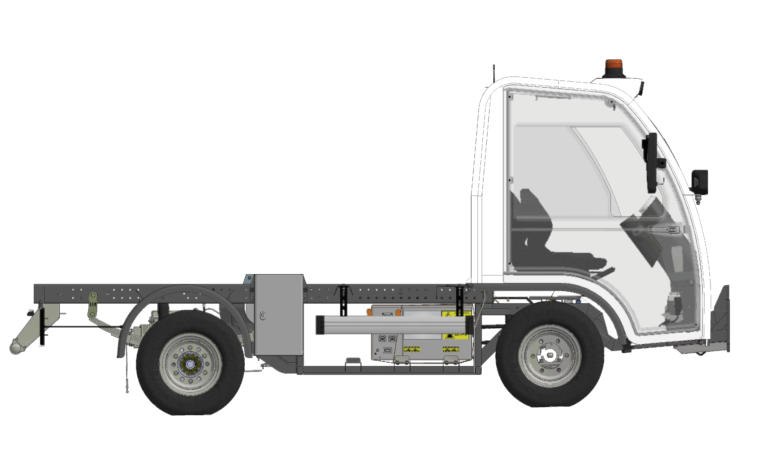 Like our other vehicles, the driver’s cab was developed and designed for user comfort of the user, namely the driver and the passenger. With its panoramic windshield, BEV1700 offers driving comfort allowing the driver to have a global view of his environment. To be able to carry more volume, it’s also possible to add, as an option, extensions of removable side panels on the vehicle body. CEV3500 collection dumpster has been developed for the collection of waste or household waste. Like all the vehicles of the range, the bucket with compactor is equipped with a battery LFP (Lithium, Iron, Phosphate) which gives it a working life of approximately 12 hours. Thanks to its large tank and integrated compactor, the dumpster can collect up to 3,5m3 of waste. The equipment has a compaction capacity of 30%, which makes it possible to use the collection dumpster optimally. The vehicle has a tipping angle of 90 °, for a tipping height of 1500mm, which provides some ease in draining the dumpster. The compactor dumpster is also equipped with container lifting, which allows the user to load the waste more easily.